This pink polar fleece jacket with front zipper closure. The full sleeves jacket is developed using fleece. The colors are subtle and class apart. The added attraction is the cotton quilted fabric at the body part and knitted fabric at the raglan sleeves. This jacket also features in the stand up collar and slant zip up pocket. Wear them over fitted denim with canvas shoes to stay comfortable and trendy at the same time. 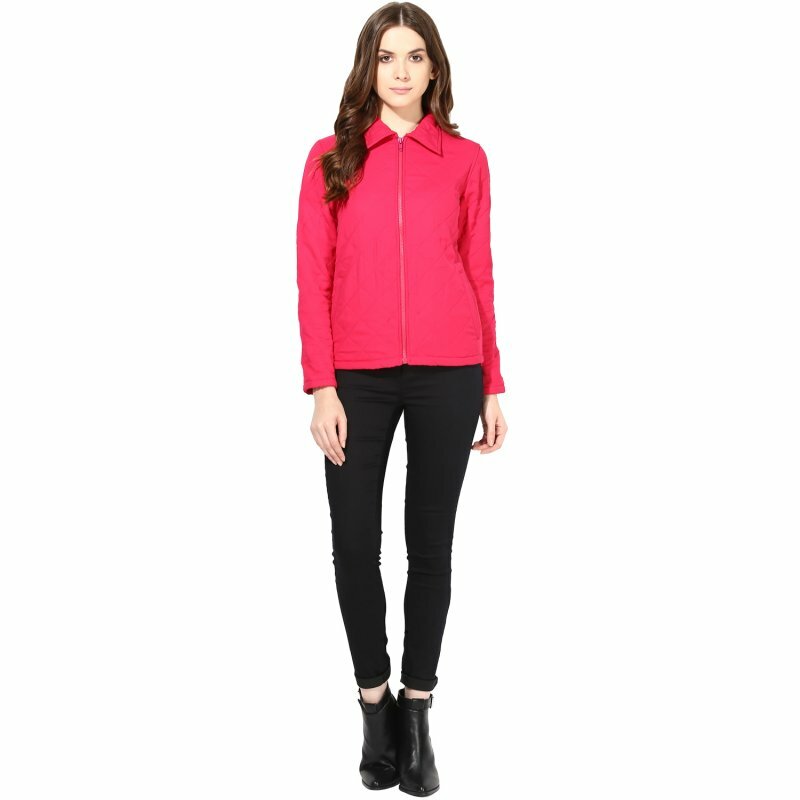 Unbelievable price on Pink Polar Fleece Jacket in Gurgaon (India) company THE VANCA.